Ibis Beijing Dongdaqiao is a 10-minute walk from Hujialou Station and 2 km from the World Trade Centre. 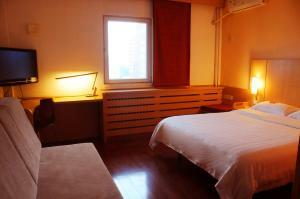 It offers restaurant and modern rooms with a flat-screen cable TV. 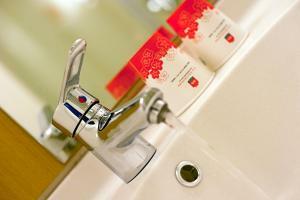 Air-conditioned guest rooms feature wooden flooring and are fitted with tea/coffee making facilities. 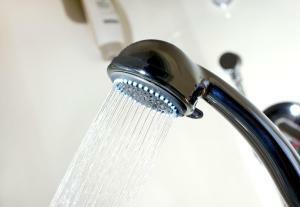 The en suite bathroom comes with toiletries and a hairdryer. Laundry and dry cleaning services are on offer. Safety deposit boxes and luggage storage can be found at the 24-hour front desk. The on site restaurant serves a variety of Chinese and Western dishes. Drinks and light snacks can be enjoyed at the Momento Bar. Beijing Dongdaqiao Ibis is 5 km from Wangfujing Pedestrian Street and Beijing Railway Station. 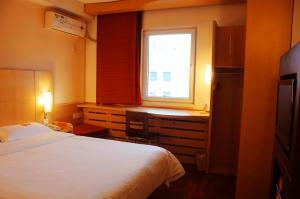 It is 7 km from Tiananmen Square and 25 km from Beijing Capital International Airport. Цена: CNY 408.00 ... CNY 474.00; select dates below to get current rates.